The despair in Coalition ranks is extraordinary. As thick as a mid-winter Canberra fog. “What on earth does the government think it is doing?” was the mystified question du jour in Parliament House. You might expect it from business executives who don’t have time to focus day to day on politics. It’s just a little more alarming coming from government backbenchers and even ministers’ staff. The latest kerfuffle is over the use or non-use of the term “occupied” to refer to East Jerusalem and occupied West Bank territories. Apparently the term “disputed” preferred by Israel has been used. Rural Liberals are seething over Attorney-General George Brandis’s remarks about East Jerusalem, accusing him of “intellectual arrogance”. They have very real concerns over live cattle exports. In Jedda, 57 Arab foreign ministers condemned the Federal Government’s decision not to use the term “occupied” when referring to east Jerusalem. Their statement, issued in Jeddah, also calls on member states to “take necessary measures” in response. The declaration was made as the Foreign Minister Julie Bishop sought to assure ambassadors from many of those countries that Australia’s position hasn’t changed. It’s not clear if her efforts will have the desired effect. Tingle says that Bishop apologised. No-one seems to know whether there has been a considered change in position, or whether it was a Brandis stuff-up. Bishop claimed on Insiders that there had been no change in position, claiming that practice is to use “East Jerusalem”, “West Bank” or “occupied territories”, but not in combination. She claims that they were verballed by Lee Rhiannon. Nevertheless they seem to have gotten themselves into a twist. the government is under deadly attack from those communists at the Australian Medical Association. Its new president, associate professor Brian Owler, wrote this week the health measures in the budget “add up to bad health policy”. 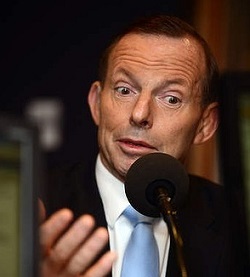 “The health of Australians is too important for healthcare to be an ideological toy,” he said. This is the AMA leading the fight against a co-payment, an organisation that fought Medicare for decades. Liberal MPs report the outrage of aged voters who will lose their $800 seniors supplement. But what is striking is that these voters aren’t angry about losing the $800 as much as they are about feeling they have been portrayed as welfare bludgers. The feedback about an anger that is not going away is it is very different to what MPs have felt before because it isn’t just about hip pockets but a sense the budget has broken something at a community level, particularly universal healthcare and access to education. What causes despair on the Coalition backbench is that the senior ranks of the government don’t seem to recognise that something has been genuinely broken that the Coalition team will never be able to get back. 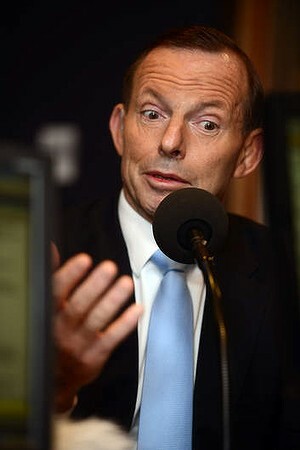 That an electorate that never quite got a handle on Tony Abbott has one it will now never let go. This post can serve open thread on politics.